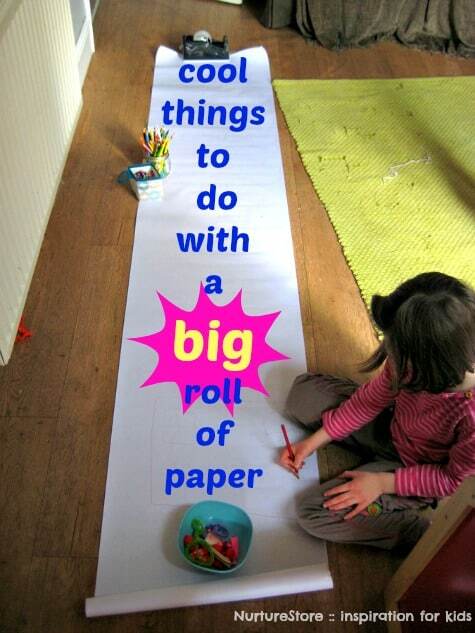 If you are looking for a really cool kids activity for a rainy day or just something to keep your kids occupied an entire morning, you will love these 7 things you can do with a really BIG roll of paper. I love the convenience and cost of buying paper in a long roll. Plus my kids are always impressed by how big the paper can get! They always want me to roll it out and do something… but what? Here are some cool things to do with a big roll of paper from NurtureStore that will inspire your next are project with your kids! Honestly too good to be true!